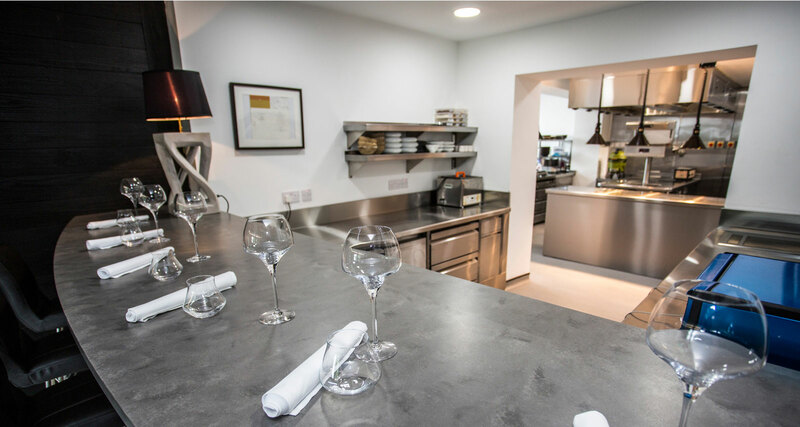 You don't make major changes to a two Michelin star kitchen without good reason, and certainly not without ensuring you have the best expertise at hand. You don't make major changes to a two Michelin star kitchen without good reason, and certainly not without ensuring you have the best expertise at hand. So when chef owner James Close decided to install a new kitchen and expand The Raby Hunt restaurant from 25 to 35 covers, he called in Crosbys, the kitchen specialist based in Newcastle upon Tyne. And when Crosbys specified the refrigeration, they called in Williams - because its models offered the combination of looks and muscle-power the restaurant required. The Raby Hunt is in the tiny village of Summerhouse, near Darlington. James Close is known for simple, stunning and visually exciting food. The new kitchen is on view to diners so they can get a sense of the theatre of a two-star kitchen in full swing. "The refrigeration, like all the catering equipment, had to function perfectly but also had to look good," says John Clarke of Crosbys, who project managed the job. "And The Raby Hunt has a lot of fridges!" The fact that Williams offers such a wide range of products meant the company was able to supply models that met the variety of specific needs in the new kitchen. Nearest the chef's table are biscuit top counters, which are sited below specially fabricated worktops featuring a rolled edge. Chef's stations have individual counters with drawers, so each chef has direct and easy access to the ingredients they need. The pastry area has a two-door counter with a granite worktop. The central prep island features multiple counters, with both chilled and frozen storage. The main cooking area also has counters, again with drawers. The counters are a mix of William's Jade, Aztra and Amber units. "The variety of sizes and configurations Williams offers allowed us to maximise the chilled and frozen storage capacity of the kitchen," says John. For example, the space-saving Aztra units at the restaurant include a single-door, wide format, two-drawer freezer, model LAZ5UC, which has a footprint of just 660mm wide by 609mm deep. Then there's the narrow-format, single-door HAZ5CT Aztra fridge and the popular Amber HA135, a compact, single door undercounter cabinet. The Jade counters are all two-door models, a mix of biscuit top (to fit under a worktop or counter) and standard counter models. The Raby Hunt also has a Jade upright cabinet freezer. "This is a very busy kitchen that's focussed on quality - quality food, quality ingredients," says John. “The refrigeration has to be robust enough to cope with the workload and it has to have ultra-reliable temperature control. It has to be quality. At the same time, it has to offer value for money. Plus, it needs to fit The Raby Hunt's sustainability and energy efficiency criteria. On all counts, Williams fits the bill."